A new approach to the search for extraterrestrial intelligent life is proposed. 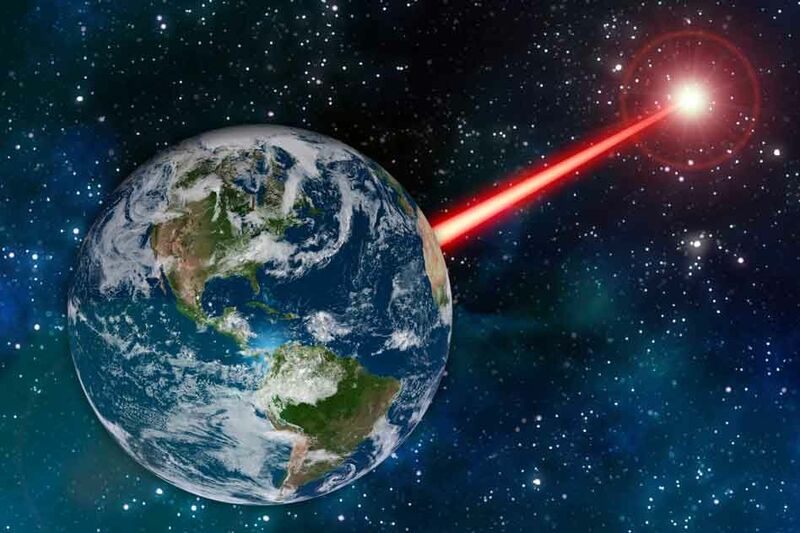 Scientists from the Massachusetts Institute of Technology have proposed using an infrared laser to search for an extraterrestrial civilization. If somewhere in the neighborhood with us in space there is a developed civilization, we can attract the attention of its representatives with the help of a powerful laser beacon. A laser with a power of one or two megawatts, directed into space with the help of a thirty- or 45-meter telescope from Earth, can create a signal that extraterrestrial astronomers can register from a distance of up to 20 thousand light years. About this, researchers at the Massachusetts Institute of Technology (MIT) reported in an article published in the journal Astrophysical Journal. For example, three different telescopes of the right size should be earned in the mid-2020s: the Giant Magellan Telescope, the European Extremely Large Telescope and the 30 Meter Telescope (TMT). The first two vehicles are being built in the Chilean Andes, and TMT will look up to the sky from the summit of Mauna Kea in Hawaii. In turn, the United States Air Force developed a megawatt laser for the now non-working project Airborne Laser, which was supposed to shoot down missiles in flight. The laser that MIT scientists are talking about will emit in the infrared spectrum — it is long-wave light that is invisible to the human eye. The resulting infrared signal will be powerful enough and distinguishable so as not to “drown” in the thermal signature of the sun. “I’m not sure that they will first think about intelligent beings near the Sun, but this will definitely attract attention,” says Clark. However, safety issues may be raised in connection with the construction of a laser beacon. After all, although the beam is invisible, it can damage the eyes of anyone who looks directly at it, the researchers said. Also, the laser can interfere with the transmission of images from spacecraft, which are in its path. Perhaps the best place to install such a system is not on Earth. “If you build this system on the back of the moon, where no one lives and no one really flies, this will be a safer place for it,” Clark is sure.